Uglyworld #1778 - Xmasers Beer Selectioners - (Project TW - Image 355-366), a photo by www.bazpics.com on Flickr. When I vistereds the Isle of Skye with Baz and Mireille backs in Septembers, I stockereds up on beers for us to has rights now, at xmasers time! 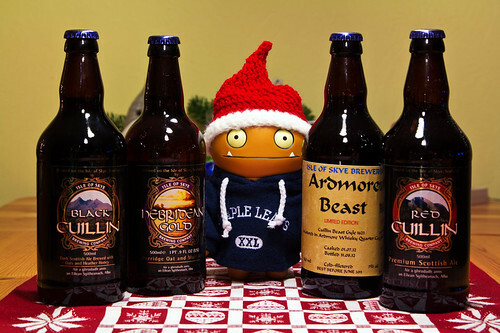 I has a wholes crater of Isle of Skye beers for everyone to tries, but you can takes your eyes off of the Ardmores Beastie, that one I has markereds up to has myselfer on new years eve! So, which ones does you want to tries, you getters only one, so be quickers with your chooserings!